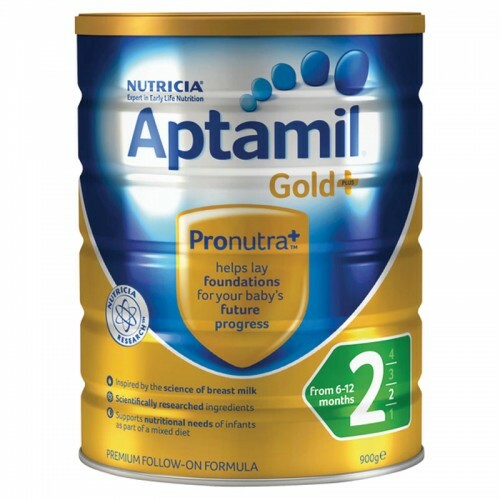 Aptamil Gold+ 2 Follow-on Formula is a premium follow-on formula designed for babies from six months of 1 year of age. Inspired by the science of breast milk. Meets the increasing nutritional needs of formula fed infants as part of a mixed diet. It is safer to use Aptamil Gold+ infant formula immediately after it is prepared. Discard unfinished drinks. Product is packed by weight, not volume. Some settling of the powder may occur during transportation and distribution. Prepare each cup or bottle separately. Do not prepare gels, thickened feeds or thickened food in advance as thickness will increase on standing. Discard unfinished gels, feeds or food. Pregnancy & Breast-Feeding Gold Formulated with essential nutrients for mother and baby Ove..